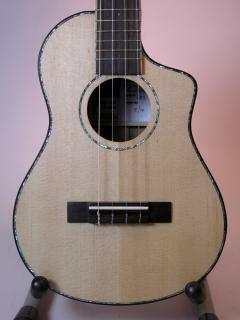 "Mya-Moe’s ukuleles exceeded my expectations. The aesthetics are really beautiful and the ukulele just sings. Very responsive and the sustain rings out on and on. Gordon and Char truly know how to make masterpieces." 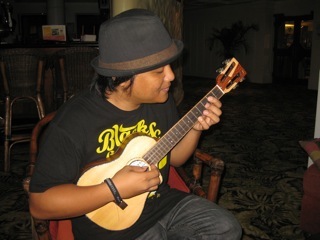 Aldrine is a Hawaii-based ukulele teacher and artist. With the website UkuleleUnderground.com, Aldrine and his team strives to spread the word about ukuleles all over the world. Their goal to "grow the next generation of ukulele players" stays as the main focus of Ukulele Underground. As an artist, Aldrine mixes styles of old and new to create an exciting new ukulele flavor. Being proficient on the guiitar, saxophone, and clarinet has greatly influenced his playing style which ranges from Hawaiian contemporary, to rock, flamenco, and blues. Aldrine also dabbles in the field of video games, photography, and eating chocolate.